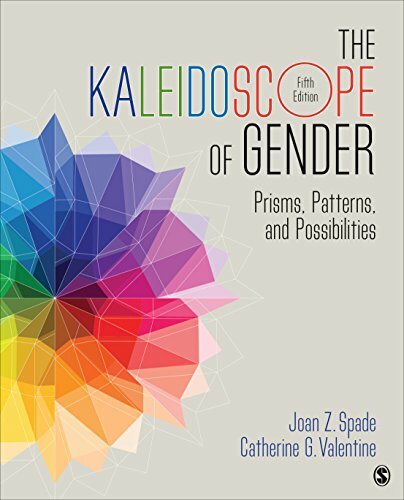 1483379485 -Accessible, timely, and stimulating, this updated Fifth Edition of The Kaleidoscope of Gender, by Joan Spade and Catherine Valentine, provides comprehensive discussion and analysis of the critical theories, research findings, and applications in gender studies. The metaphor of a kaleidoscope and three themes—prisms, patterns, and possibilities—unify topic areas throughout the book. Focusing on contemporary contributions to gender studies while incorporating frameworks and findings from the classical foundations of the field, this collection of creative and challenging articles by top scholars and activists—twenty new to this edition—explains how the complex, evolving patterns of gender are created and changed by people as they interact at individual, group, and institutional levels of life.